The main difference between Chinese medicine and Western allopathic medicine is that the former has its roots in traditional culture, while allopathic medicine is a branch of modern empirical science. In today's society dominated by Western allopathic medicine, people tend to doubt the efficacy of Chinese medicine. Even in China today is debated a lot about Chinese medicine. In fact, in the last 5.000 years old, the Chinese have relied on Chinese medicine to cure their diseases and epidemics protect. Consequently, throughout the history of Chinese medicine has contributed to the growth of the population. Among the more than 300 types of traditional medicines in the world, Chinese medicine is becoming more popular. The effectiveness of Chinese medicine can be seen in the increasing number of people around the world who choose to specialize in it. First of all, Chinese medicine is a set of practical skills that points to an array of diseases, from the common cold to more serious, such as tumors and heart disease. Many Chinese rely on these skills in their daily lives. Professor He Yumin Institute of Shanghai Traditional Chinese Medicine says: "Let's take the example of pancreatic cancer. The international outlook of 4 the 6 months. However, 20 from among 100 patients here in Shanghai who received our treatment lived between 3 and 5 years old. Most of them could not go through surgery or undergo chemotherapy and radiotherapy ". An ironic adage says, "People looking for a cure in Western medicine usually die knowing exactly what was the reason; people looking for a cure in Chinese medicine usually lives without knowing exactly what the reason ". Allopathic Western medicine focuses on removing the symptoms using direct methods, also known as "fix the head when a headache, fix the foot when the foot hurts ". 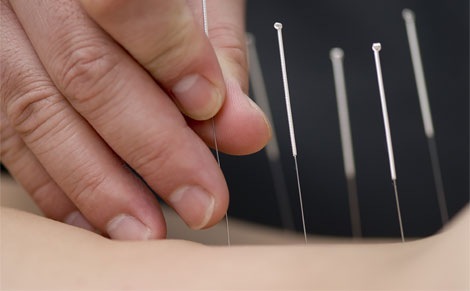 But Chinese medicine emphasizes the dialectical analysis of the human body as a whole, which is considered a collection of interconnected and interrelated systems. Therefore, the holistic approach inherent in Chinese medicine has great potential for treating complex diseases such as cancer, AIDS and Alzheimer. The World Health Organization defines the status of sub-health as a state between health and disease, when all necessary physical and chemical indexes are negative, but the person experiences all kinds of ailments, and even pain. Western allopathic medicine is at a dead end when it deals with sub-health conditions. But Chinese medicine shows its strength in dealing with sub-health problems through the examination of all body conditions and symptoms derivative analysis. Conventional Western medicine does not recognize the existence of meridians or energy channels in the human body, because the anatomy can not show them. With a special camera used in Kirlian photography developed in 1939, which does not require film or emulsion, You can take pictures that show the "biological plasma body". One of those images was taken by a group of scientists at the Kirov State University and showed many brightly lit areas throughout the body that correlate with the meridians and acupuncture points. For the Chinese people, hoard Chinese medicine also has a cultural aspect, as it is a manifestation of traditional Chinese culture in areas related to human health. Western medicine advocates the "if you do not see, I do not think ". Chinese medicine follows the principle of Yin and Yang and the philosophy of mutual generation and mutual inhibition. Chinese medicine believes in the existence of energy channels and acupuncture points even when they can not be seen with human eyes. Also, Chinese tradition holds that all matter in the universe has its physical side and spiritual side. Both sides work together to form a complete entity. For example, when you have a cold, Western allopathic medicine says it is due to a virus infection, but Chinese medicine says it is due to an imbalance of Yin and Yang which derives in turn from a blockage in the energy channels. Western allopathic medicine is like the soldiers of a computer game that fight the virus in the front line. Chinese medicine as the person behind the virus killing scene with an invisible hand.